Other types of soy products you may be more familiar with (e.g. soy milk, soy veggie burgers made with texturized vegetable protein, or protein bars made with soy isolate) are associated with a host of health risks but the beauty of tempeh is that because it's fermented, it's easier to digest and is not associated with the same health risks as genetically modified, processed soy. 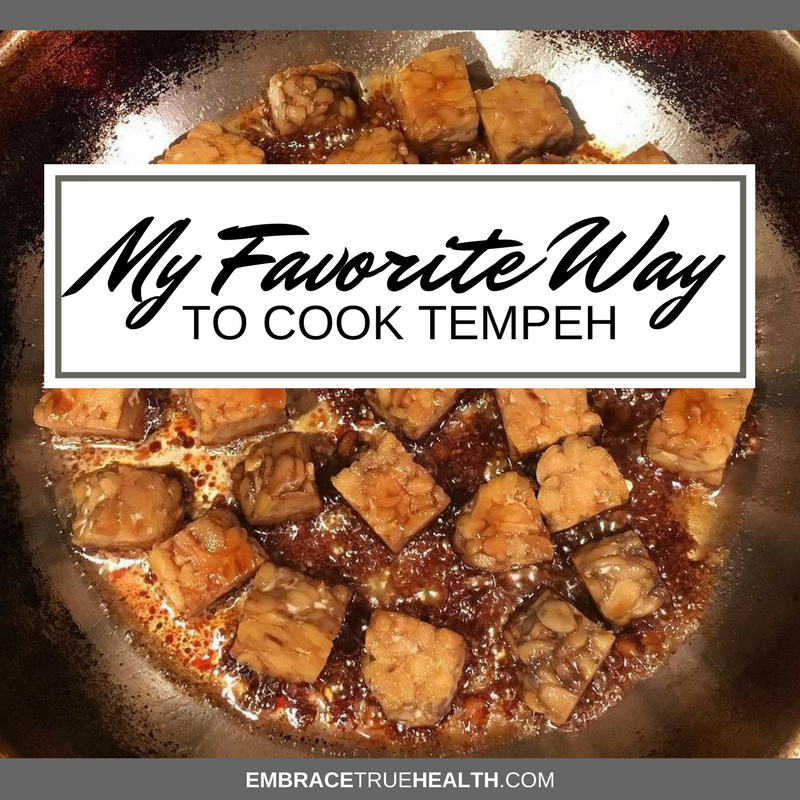 Tempeh doesn't have much of a taste on its own but it'll take on the flavor of whatever sauce you use on it. My favorites - which we'll be using in today's recipe - are Coconut Secret and Big Tree Farms coconut aminos, two soy sauce substitutes. And now onto the recipe! I currently make this every Sunday as part of my food prep for the week. Scroll down to check out the step-by-step photos! Let cool for a few minutes so you don't burn your tongue. Then serve immediately or enjoy later. Remove tempeh from the package / cut into 30 cubes / place into a container with a lid / pour 2 tbsp sauce, put on lid, and shake!